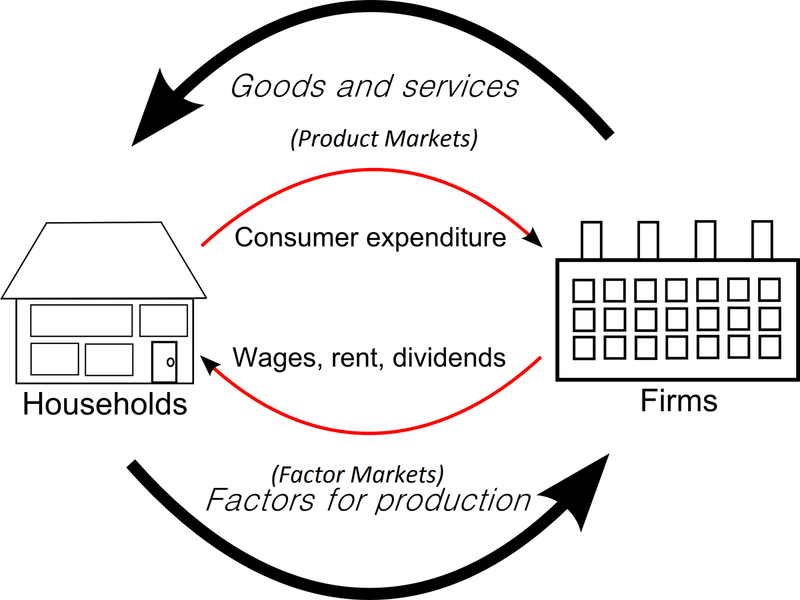 Circular flow of income diagram, and market systems - FreeEconHelp.com, Learning Economics... Solved! This post briefly describes two types of market systems, and discusses how money flows through the economy with the circular flow diagram. First we need to understand the two most basic types of economies. A Command/Central economy’s is controlled by a central government or dictator who either directly or indirectly sets output targets, incomes, and prices. All decisions related to the economy are made by an authoritarian power. There is also a market/laissez-faire style economy. This is an economy in which households and firms pursue their own self-interest and enter into voluntary exchange in markets with no central regulation. Finally, there can be a "mixed" economy, in which most of the economy is free market but the government plays a pivotal role in managing some industries. Mostly these industries include monopolies, or externalities, which would fail to run efficiently (meaning a deadweight loss is created) if the government did not step in and help regulate them. You can see in the picture that money flows in a circle. It doesn’t matter where it begins, but money flows from households to firms when goods and services are purchased, and the money flows back to households from firms factors of production such as labor and capital are purchased. This money goes back and forth through the economy hence the circular flow. Market- A group of buyers and sellers of a good or service, and how they come together to trade. Product markets- markets for goods and services, such as cell phones and haircuts. Factor markets- markets for the factors of production: labor, capital, natural resources, and entrepreneurial ability. 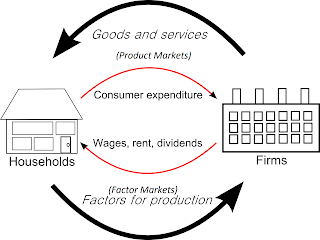 Factors of production- inputs used to make goods and services: labor, capital, natural resources, and entrepreneurial ability. How a market works, people act in their self interest. With protection of private property and entrepreneurs, we get a functioning market system where resources are allocated to those who can best use them through the price system.